The Canadian Wind Energy Association or CanWEA is enacting a hard-hitting PR campaign, promoting wind power as a “low-cost” form of electrical power generation that can also provide hundreds of jobs. Aimed at hard-hit Alberta, the message is clear: you get to meet climate/environment goals, grow your economy (or at least keep it from going over a cliff), and replace the faltering oil industry. The lobbyist even points to a recent report that apparently confirms all that so you don’t have to just take their word for it. But there’s a problem. Energy commentator Parker Gallant in his newest post says that the report referred to by CanWEA fails to explain that the jobs will be temporary, and also, that they may not actually be in Alberta. 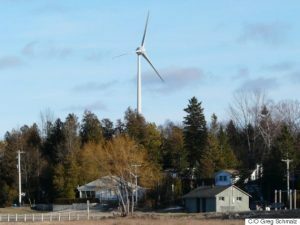 And there’s another problem: the newest rosy outlook for wind power fails to chronicle the disastrous history of wind power development in Ontario. Two Auditors General took the previous Liberal governments to task for pushing wind power forward without any cost-benefit analysis, and current Auditor General Bonnie Lysyk has noted that, because of above-market contracts awarded by those same McGuinty and Wynne governments, Ontario’s electricity customers overpaid for power by more than $9 billion. The Association of Ontario Food Banks linked growing poverty and specifically “energy poverty” to Ontario’s skyrocketing electricity bills, in its 2016 annual report on hunger in the province. Electricity bills have been named as a factor in businesses leaving Ontario and job losses. But even looking back at a road full of failure—high electricity bills, environmental harm such as dead birds and endangered bats, and thousands of citizen noise complaints—CanWEA is not giving up where money might still be made. The lobbyist is hoping to sway the new Ford government not to cancel wind power contracts as the PC Party pledged to do during the election because wind power can happily fill in for nuclear plants when several units have to go offline in a couple of years for refurbishment. Rumour has it they have even purchased ads on Toronto Transit vehicles. 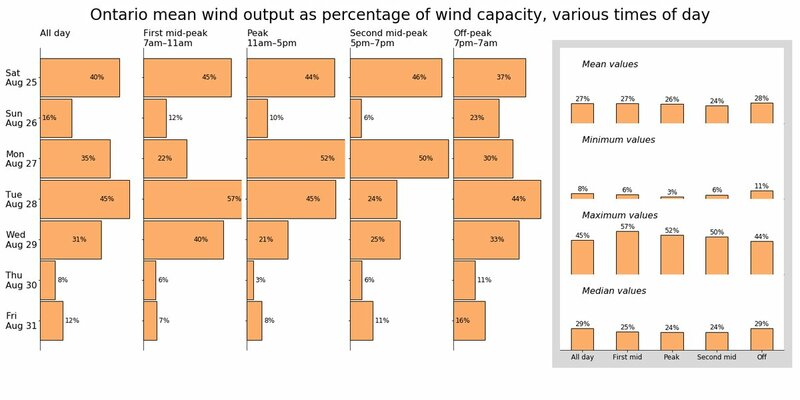 The sad fact, omitted by CanWEA, is that wind can’t replace anything. It is intermittent, unreliable, and in Ontario, produced out-of-phase with demand. Output from Ontario’s closed coal power plants was made up by nuclear and hydro. Ontario’s Society of Professional Engineers says that, because wind power is intermittent and needs back-up from other forms of generation, meaning natural gas, wind power will actually increase carbon emissions, not reduce them. It’s even worse than that: According to Marc Brouillette who wrote a report for the Coalition for Clean Energy, wind power in Ontario is wasted almost 70 percent of the time. Moreover, Ontario electricity customers not only pay for wasted power, they pay generators NOT to produce power during frequent situations of surplus. We really hope Alberta is smarter than politicians were back in 2003 in Ontario; we hope they can see the truth. Watch out, Alberta ! ! ! When this nightmare is ended and these turbines are turned off, the people who were harmed will never forget who did this to them. The outrage at what these turbines and all who are responsible for the harm they’ve done, must never be forgotten. @carlvphillips @ONenvironment Sorry to say, we are not, but thanks!